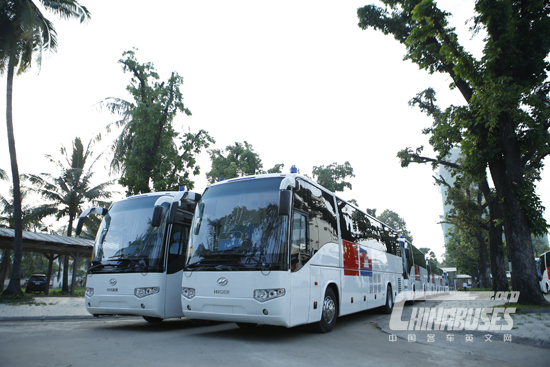 The first batch of 20 mobile clinic vehicles in the mobile clinics aid project of the Chinese government for Cambodia were handed over at Khmer Soviet Friendship Hospital in Phnom Penh on the morning of May 10. 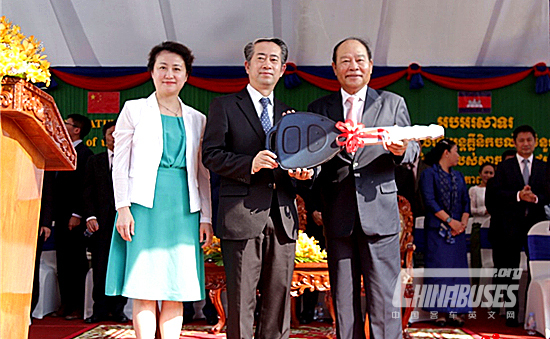 Cambodian Health Minister Mam Bunheng took the “key” from the Chinese ambassador to Cambodia, Xiong Bo. 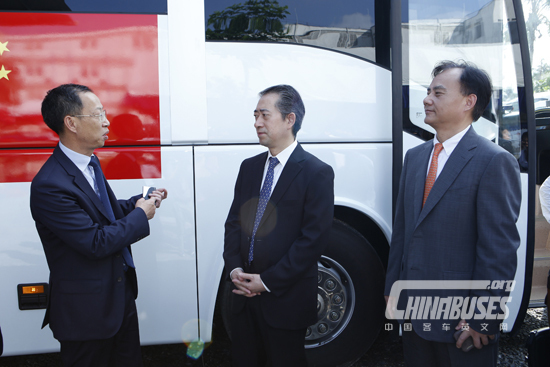 Shi Shengyi, vice managing director of China National Pharmaceutical Group Corporation(SINOPHARM), Zhang Bin, chairman of HIGER bus, and Huang Shuping, Managing Director of HIGER bus attended the handover ceremony. "Thanks to the Chinese government for their help, these mobile clinics will bring high quality, efficient and safe medical services to people in remote areas and play an important role in promoting the livelihood of Cambodia." Mam Bunheng said. HIGER bus and the Sinopharm worked together to create these aid vehicles. At the handover ceremony, the brand-new mobile clinic vehicles attracted many local officials and medical workers to visit. On the white mobile clinic vehicles body, which up to 12 meters, the national flag of China and Cambodia are particularly eye-catching. In order to adapt to the local weather conditions, these vehicles are also equipped with telescopic tents, folding tables and chairs, realizing triage beside the vehicles and giving the treatment in the vehicles. These mobile clinic vehicles can meet the needs of pediatrics, general surgery, obstetrics and gynecology, dentistry, E.N.T, X-ray machine, ultrasonic examination and other medical needs. The Director of Battambang's Province Health Bureau, Veoung Bunrith, praised the equipment as soon as he entered one of mobile clinic vehicle. 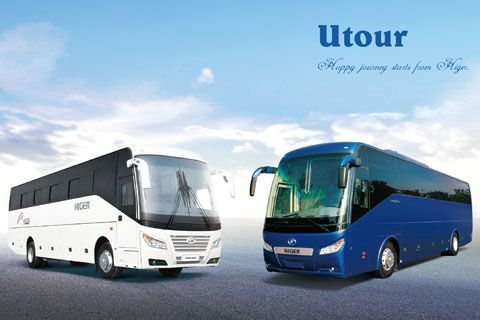 "We receive two vehicles. Many Cambodians live in remote rural areas and it is not easy to go to the hospital. With mobile clinic vehicles, we can go to remote areas to provide medical services." "These mobile clinics are health express which are given to the Cambodian people by Chinese government and people. We hope and believe that these health express will bring the friendship of the Chinese people to thousands of families in Cambodia. This is also a concrete achievement of the 60th anniversary of the establishment of diplomatic relations between China and Cambodia." Xiong Bo said. "Our technicians have completed the configuration of seven departments, such as radiology, laboratory and dentistry," said Shi Shengyi. It is hoped that these clinic vehicles will provide basic medical examination and treatment to the masses in remote areas of Cambodia." It is reported that 40 mobile clinic vehicles will be used in the mobile clinics aid project of the Chinese government for Cambodia. 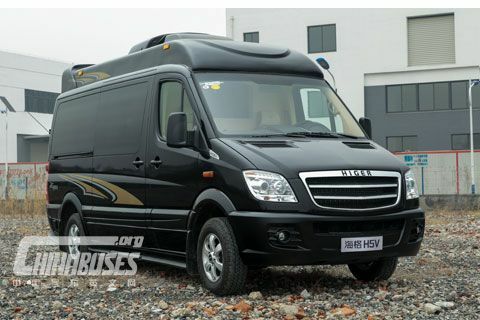 On March 27, the first 20 mobile clinic vehicles set out from the manufacturing base of the HIGER Industrial Park in Suzhou, Jiangsu Province. These vehicles arrived in the Cambodian capital Phnom Penh on April 19. 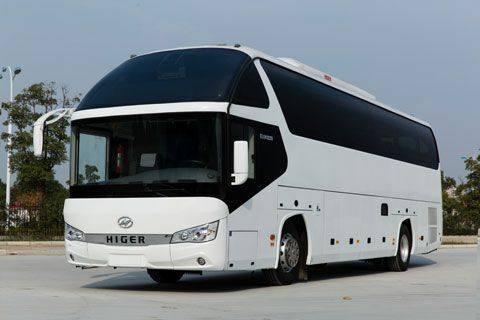 Huang Shuping, Managing Director of HIGER bus, said in an interview, "HIGER has deployed experienced customer service engineers and set up a special service team to ensure their normal operations in Cambodia." 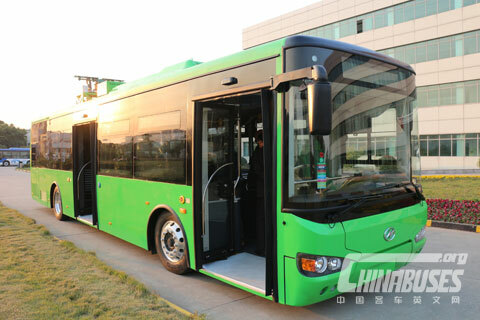 The rest of the vehicles will arrive by the end of October this year. By then, all 25 Cambodian provinces, municipalities directly under the Central Government will be equipped with mobile clinics. In order to play an effective role in the first batch of mobile clinics, Chinese medical experts will carry out free medical services in the near future in Phnom Penh, Kampong Cham and Battambang provinces.